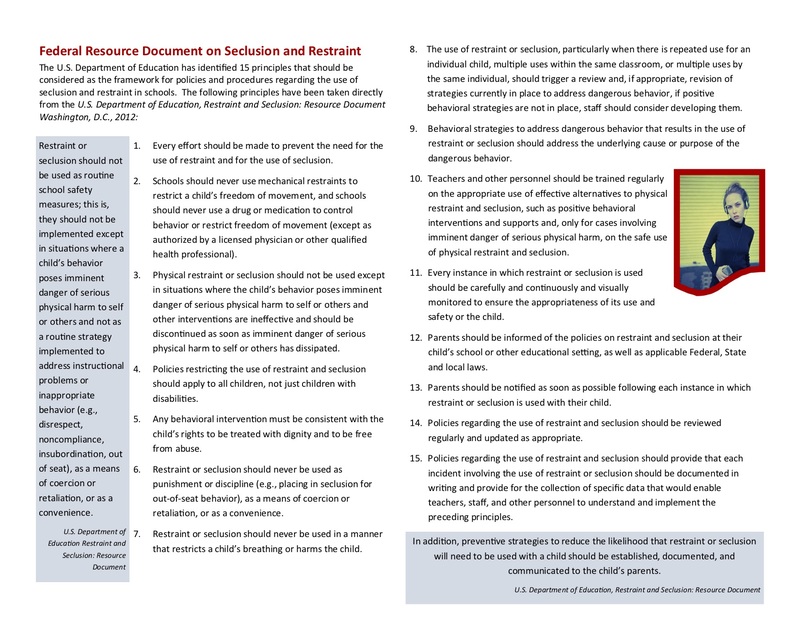 Emergency Safety Intervention means the use of seclusion or physical restraint. 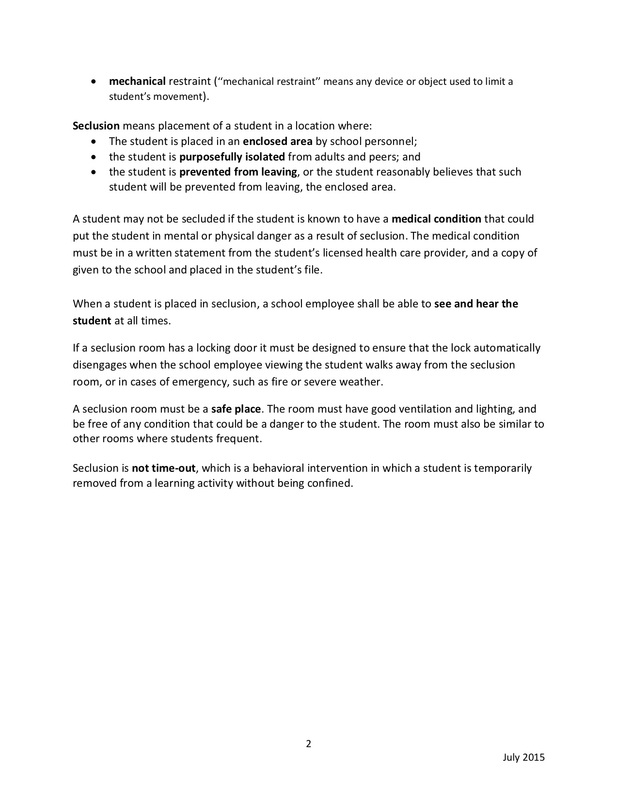 The board of education is committed to limiting the use of Emergency Safety Interventions (ESI) such as seclusion and restraint with all students. 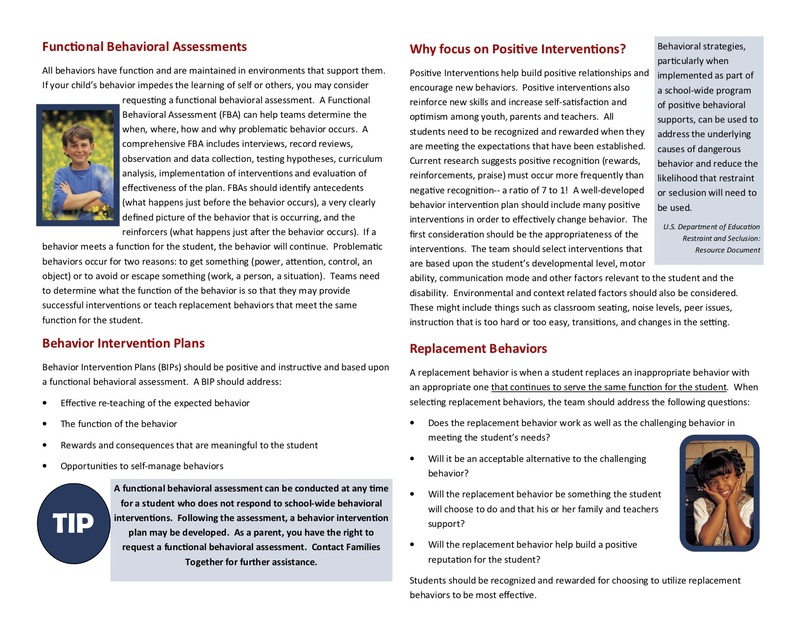 The board of education encourages all employees to utilize other behavioral management tools, including prevention techniques, de-escalation techniques, and positive behavioral intervention strategies. 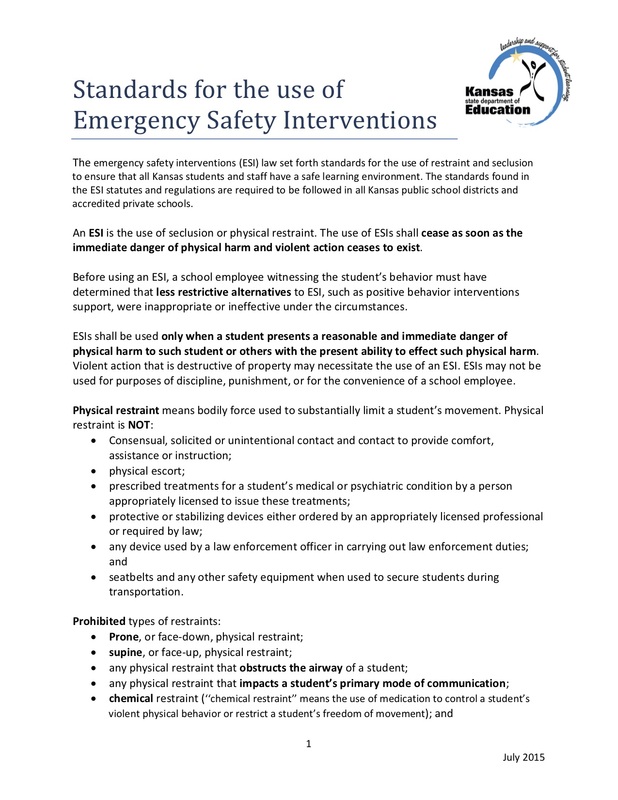 An emergency safety intervention shall be used only when a student presents a reasonable and immediate danger of physical harm to the student or others with the present ability to effect such physical harm. 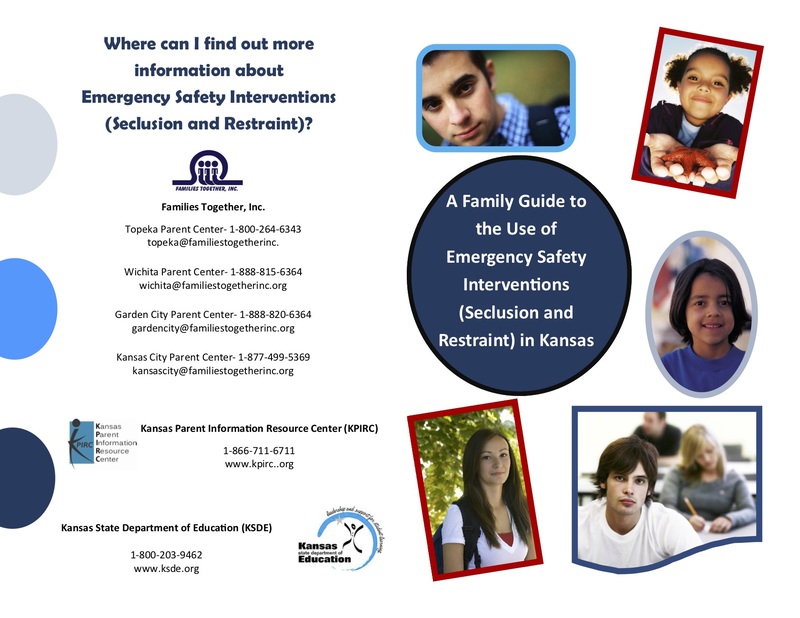 The use of emergency safety interventions shall cease as soon as the immediate danger of physical harm ceases to exist. 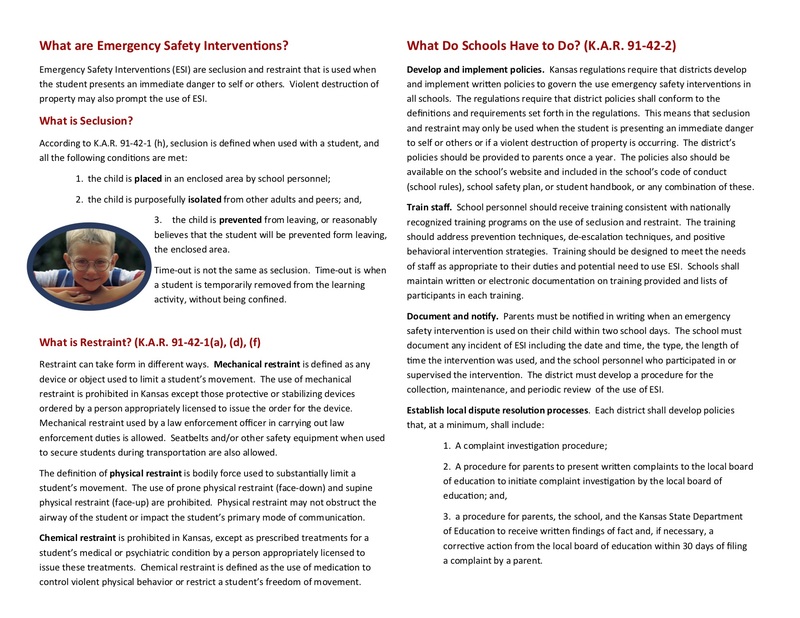 Please click on the links below for more detailed information regarding Emergency Safety Intervention.